Slice the tops off the strawberries to create a flat surface for them to sit on. Slice the tip off the strawberry to make the hat. 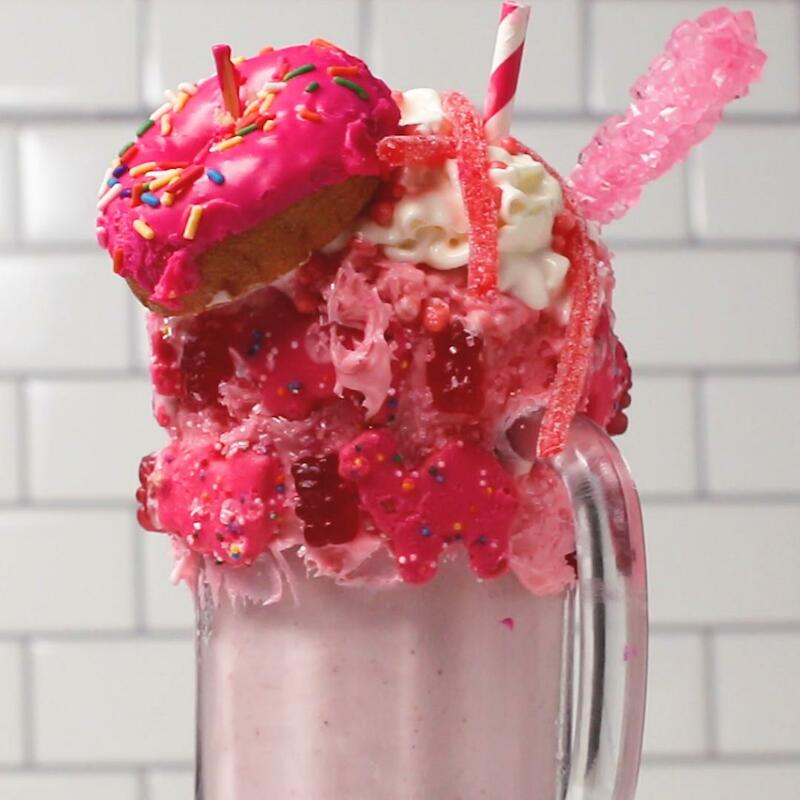 Squeeze some frosting or whipped cream on the strawberry, and replace the tip. 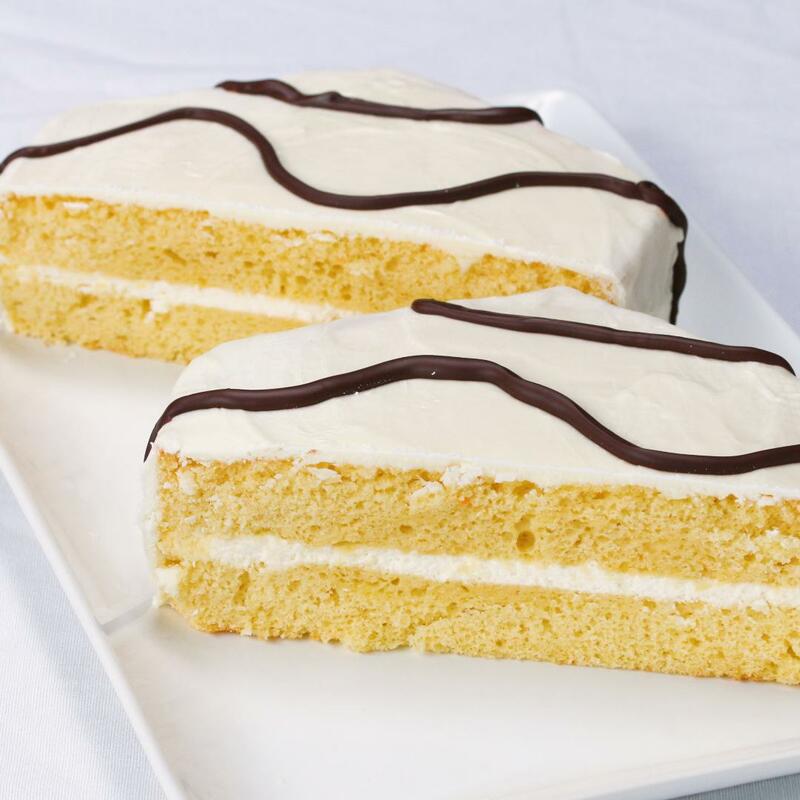 Decorate the rest with a piping bag. Add the mini chocolate chips for eyes. 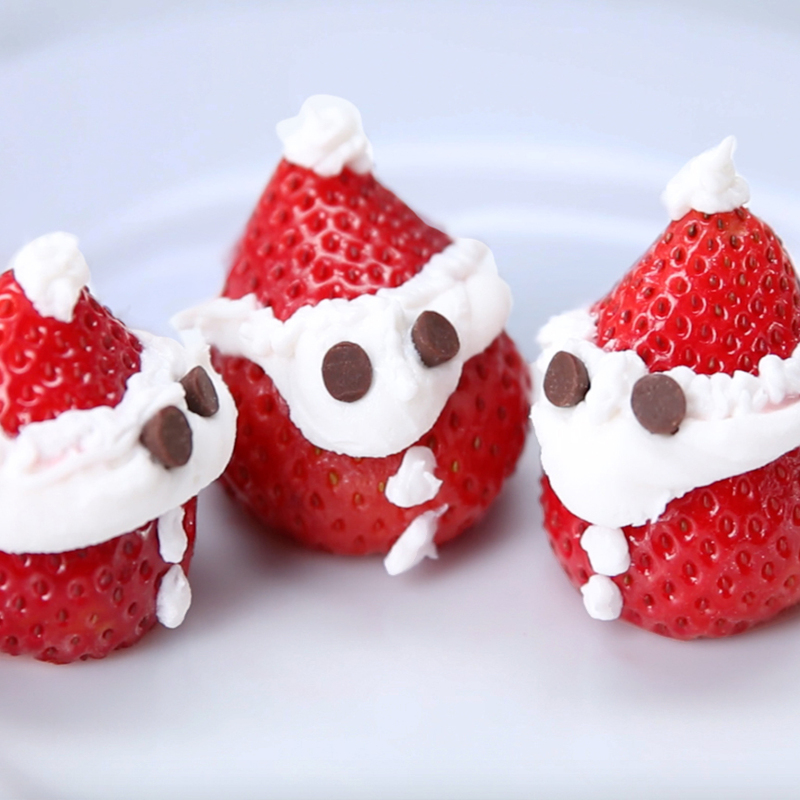 Strawberry santas are mischievous, and tend to disappear quickly! Make enough for family and friends! These are super cute and so easy to make! Everyone at my party loved them! These were really fun to make and super cute!! Make sure you try the strawberries before putting in the frosting though! I tried to make them but I had to wash the strawberries and the frosting wouldn’t stick when they are wet and I don’t want to have to dry every single one individually so I just drizzled the frosting instead and my friends loved them! They went down really quick and I also sprinkled chocolate jimmies!